Lewis PR had a stellar year with acquisitions and organic expansion aplenty. To say it has been a successful year for Lewis PR would be an understatement. 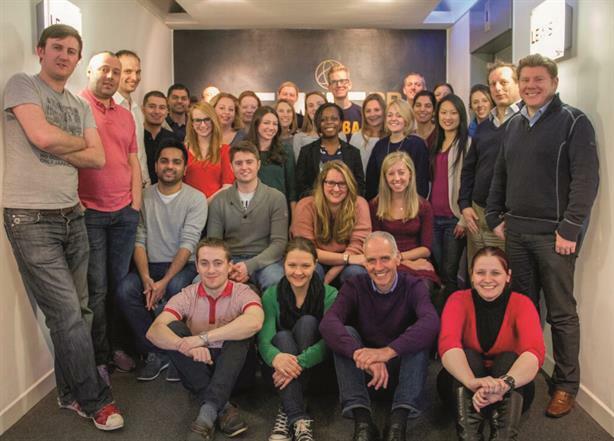 Delivering double-digit growth in key areas has helped the digital and tech-focused agency leap 20 places in our Top 150 PR Consultancies table. Lewis PR made three acquisitions in the past year, the most prominent of which was digital agency Purestone in May. This helped beef up everything from e-commerce and app development to social, SEO and online production. Growth has not been reliant on acquisitions, with organic expansion accounting for 20 per cent during the period, while work for the multi-region launch of the YotaPhone 2 and securing client wins in the form of Schneider Electric and UK start-up Laundrapp contributed to fee income rising 75 per cent. UK group managing director Giles Peddy stresses that a key factor in the success of Lewis PR is its structure. Being 100 per cent employee-owned and independent has allowed the agency to be flexible and invest in areas that deliver returns. This is best highlighted by the opening of a global training academy in the US at the end of 2014. Peddy says the firm is investing "upwards of $1m a year" to train staff across all levels of the company. In April 2015, Lewis PR announced it had raised $27m (£18m) from HSBC as it targets becoming a global agency – it currently operates 28 offices across 13 countries and is making acquisitions in the US, India, China and South America. With Chris Lewis, its chief executive, confirming that it is exploring further acquisitions in US, India, China and South America, further strong growth cannot be ruled out this year.